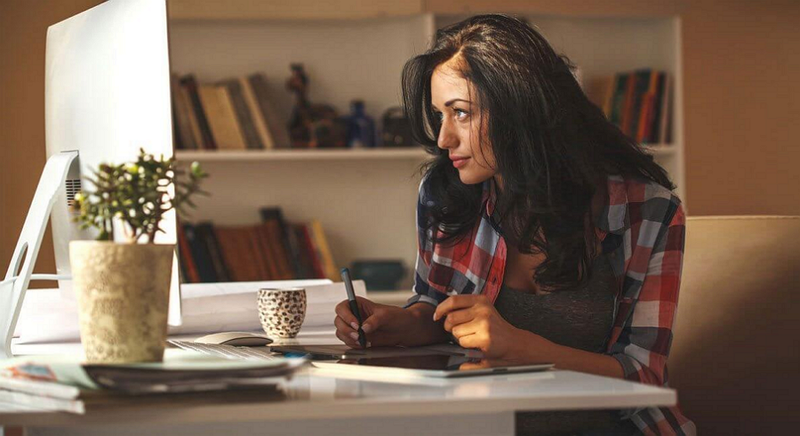 In this article, 20 best online website design courses, classes, Youtube videos and design tools will be introduced for you to learn web design easily at home. Such questions keep coming to mind, but do not know how to get started as a beginner or graphic designer? Web design, as its name suggests, refers to the design of websites, this includes web layout design, website microcopy design, colors, graphics, images, interactions, animations and far more aspects of websites. However, as a web design beginner, you should first gain knowledge and skills related to web graphic design, UX&UI design, web development design, etc. How to Choose the Right Web Design Course Online? 1. Why learn web design? To choose the best online web design course, the first step is to ask yourself what you want from the design course. Is it only for fun, for a web design career, for seeking a part-time job or expanding your knowledge? Once you’ve determined your goals, you can determine the right course that's right for you. In this way, you can figure out your own purpose and criteria, which can be a great help to choose the right design course. Regardless, you may want to write them all down for future reference. 2. How long will it take to complete an online web design course? The duration of a website design course is an important factor while choosing web design classes online. 3. How about the cost of the course? Is it free? The cost of the website design course/class is another essential factor that web design beginners should consider. The course description and comments provide important feedback on the quality and content of the course, helping you make the right decision. An online web design course/class associated with a reputable institute/university tends to offer more professional and high-quality contents. Having a prestigious institution on your resume also helps you stand out from the crowd. If you have many questions about the website design course, consider directly contacting itscustomer support for more details. Keep these tips in mind and choose the appropriate web design course that’s best for you. About: Alison offers free online web development courses that show users to plan, build and create their own websites online. The courses include "21 Days to Building a Web Business”, “How to Create Your First Website” and “Web Page Design Using HTML5 and CSS3”, etc. Not all courses are free. It is a good place for you to learn web design from the very beginning and get a web design certificate/diploma. About: ed2go offers flexible online website design courses. Users can freely choose their courses and learn professional website design skills as well as various industry standard design tools, such as PS, Animate and Dreamweaver. *Most courses last between 24 hours and about 6 weeks. It is a perfect website for designers or beginners to learn website design skills and get web design diplomas on their own schedules. 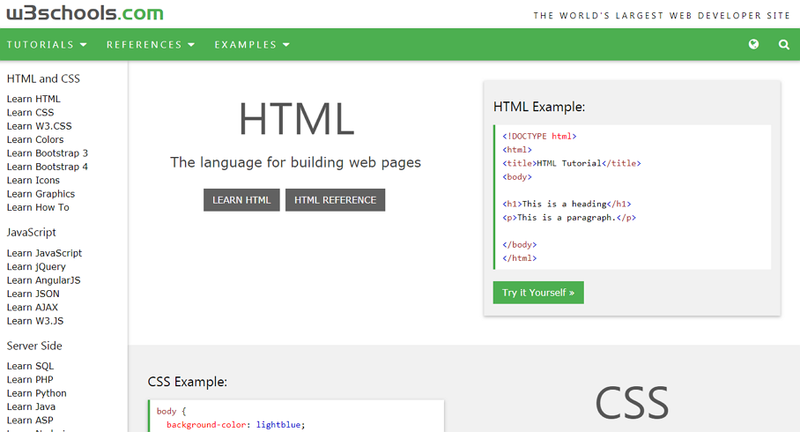 About: Treehouse offers online web design courses for users to get started creating web pages with HTML and CSS. Video tutorials can only be downloaded when you choose pricier plans. It is an ideal website for beginners to learn web design and development systematically, no matter whether you are learning for fun or for a career. If you want to learn web design only for fun, expand your design skills or something similar, this free web design tutorial website can be a perfect choice to learn the basics of web design. 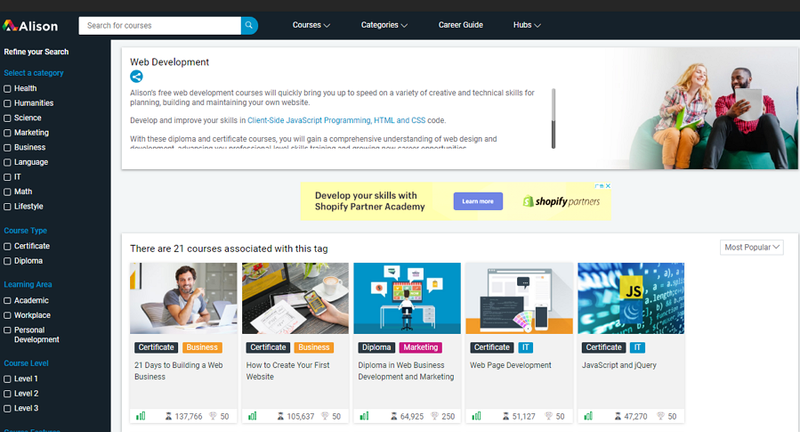 About: Udemy offers a large number of web design courses for people to freely choose from, including web design, design tools, user experience and web development, etc. 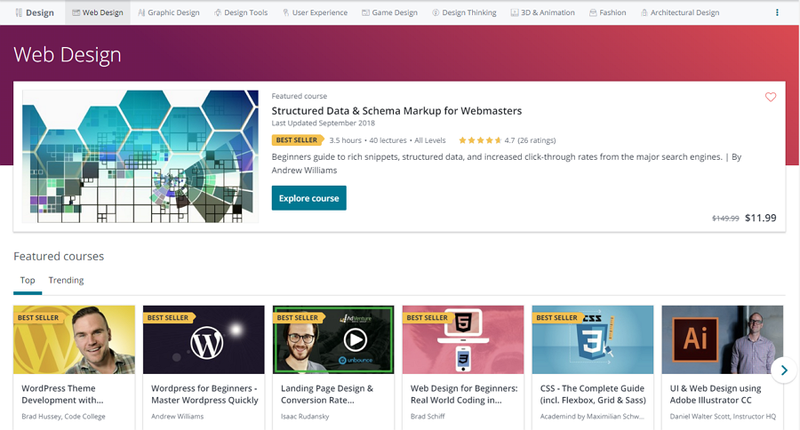 No matter whether you are a design beginner or expert, you can freely choose your desired online courses and to improve your web design skills. 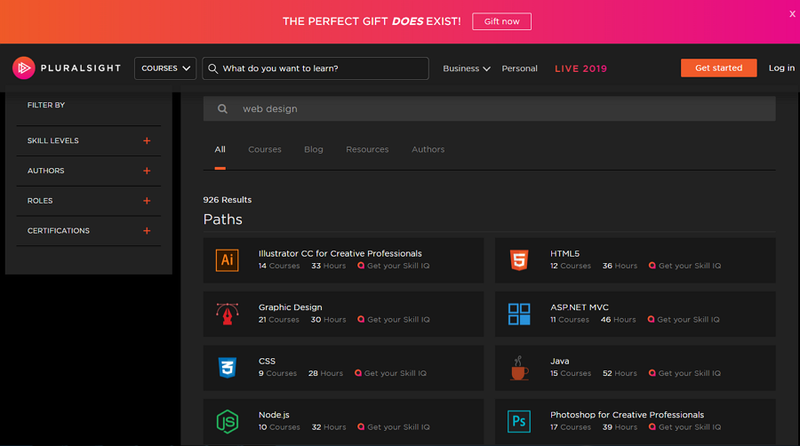 About: Pluralsight offers many professional web design courses for students, including responsive web design courses, AI, HTML5, CSS and Photoshop courses, etc. If you are planning to choose diverse online courses, not only web design courses, this website can save you a good amount of time. 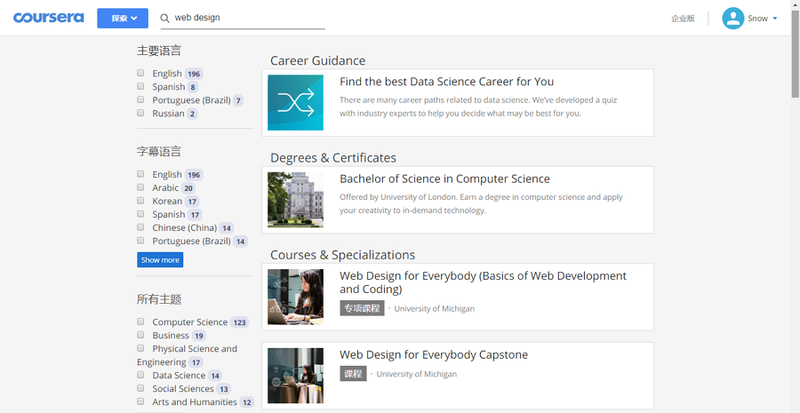 About: Coursera gives you access to online courses covering almost anything you can think of, including web design and development courses. It is an excellent website for you to search and choose your designed design courses based on your needs. 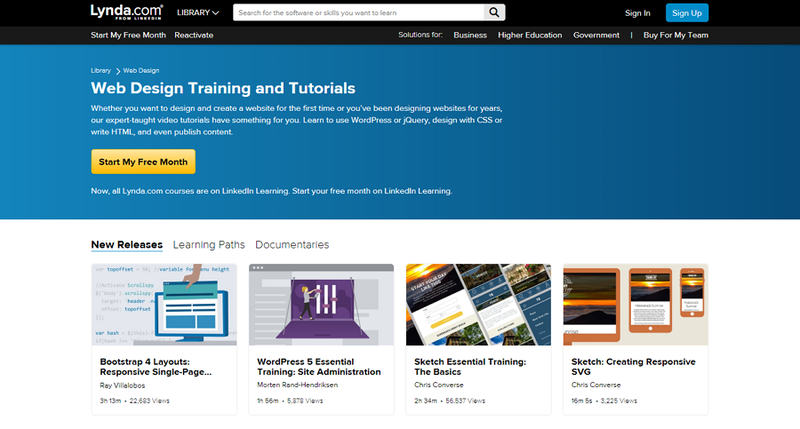 About: Like Treehouse, Lynda offers monthly-paid web design courses to help people learn how to create and design websites. It is the perfect place for you to learn web design and other design-related courses at the same time. About: Web Professionals.org, referred to as the “Word Organization of Webmaster”, is a non-profit professional association that offers support to individuals and organizations that create, manage or market websites. 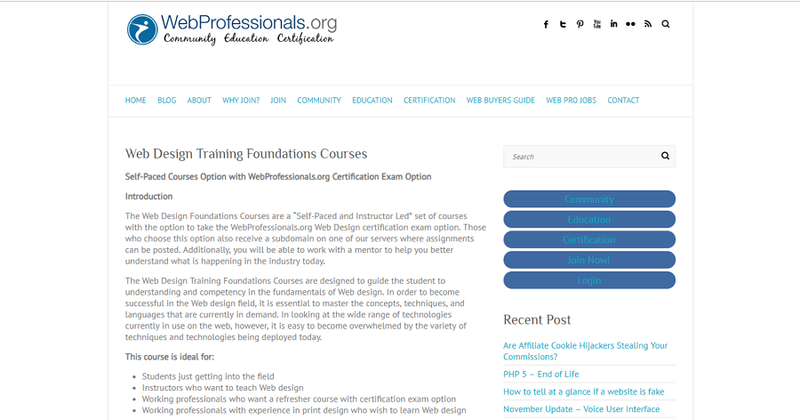 In addition, it also offers web design foundation courses. 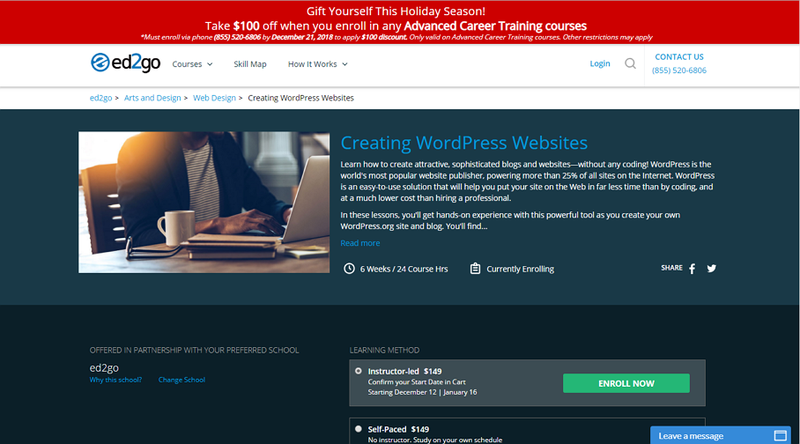 *Offer introductory courses on how to create web pages, including such topics as HTML, graphics, CSS, web host, animations, e-commerce overview and internet search techniques, etc. 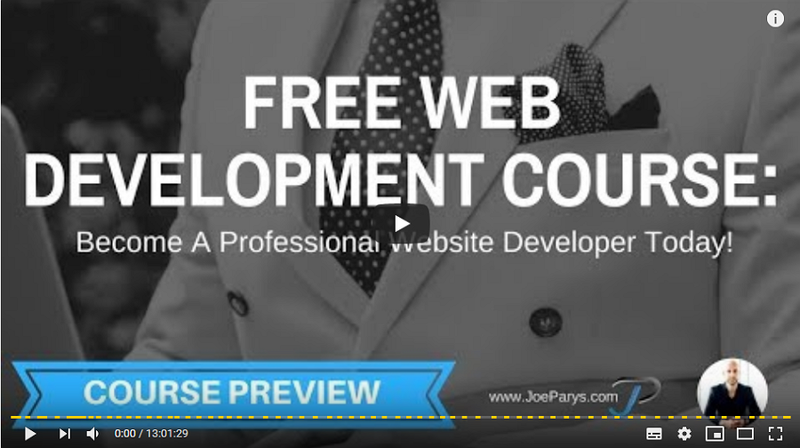 This is an ideal online course website for students getting into the web design field, instructors who want to teach web design and working professionals who want to learn web design. About: This website offers completely free short tutorials for designers/beginners to learn web design. If you are on a budget, this website can be a good choice for you to learn web design basics. 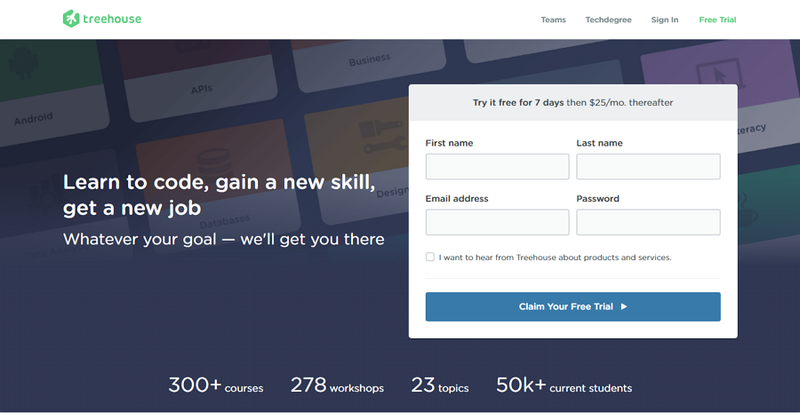 Hopefully, these 10 best free online web design courses can help you make the right decision. 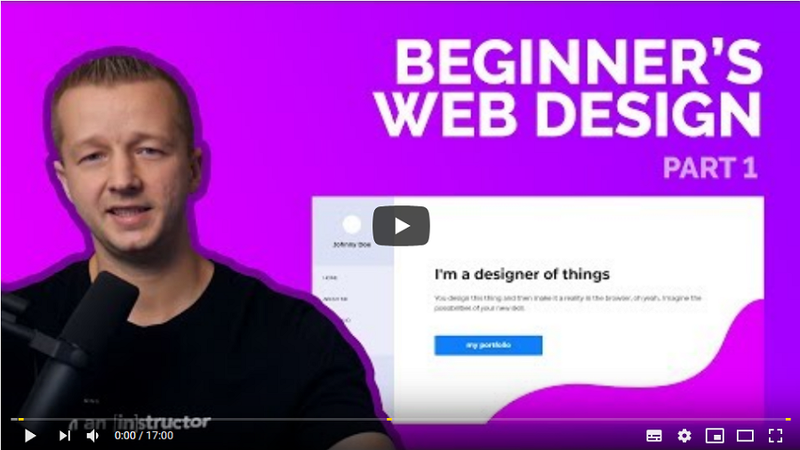 The creator of this Youtube video uploads a series of free web design tutorials helping beginners to learn web design. Every tutorial is centered around solving one specific design question. 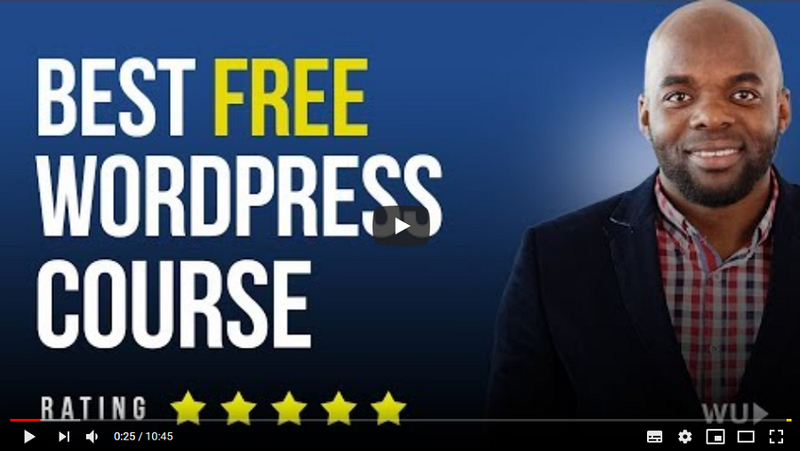 This free tutorial shows you step-by-step, how to how to build websites with WordPress. This tutorial shows you everything you need to become a professional web developer. It is also a good source to learn web coding and design. Color design plays a very important role in web design. This tutorial will show you how to create color schemes for your websites. 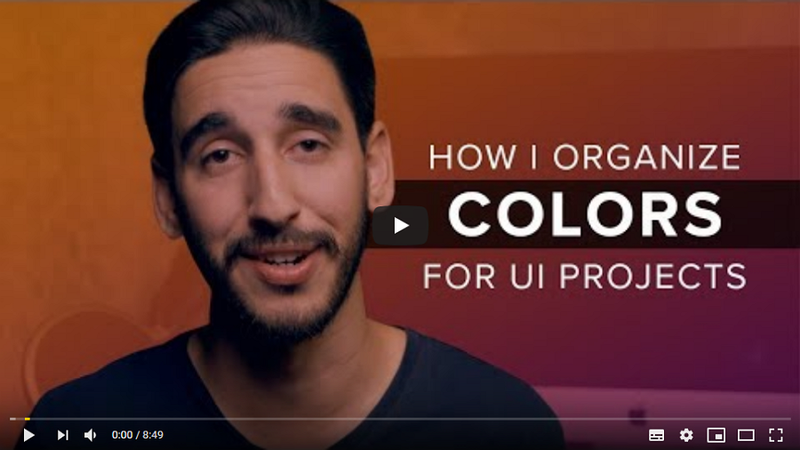 This tutorial demonstrates one method of working with and organing colors so as to make them stand out to in UI design projects. 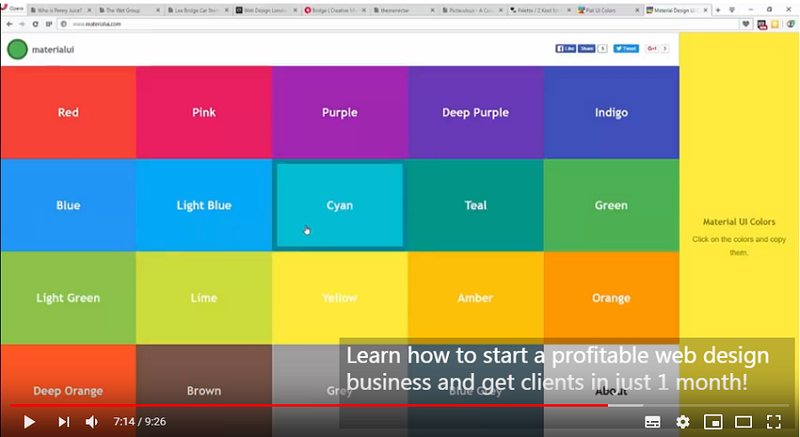 This video is great for learning how to use color in website design. Sketch is a widely-used program offering a broad set of expressive for beginners and designers draft their websites. Since it works only on Mac, it is a must-have design tool if you are using a Mac OS computer/laptop. Like Sketch, Photoshop is a must-have web design tool. This program, however, is available for both Mac and Windows users. After sketching out your web design drafts, you will want to test your design using a prototype. Mockplus, a rapid web prototyping tool, is a perfect choice for you to prototype, test and share your web design with ease and high efficiency. Good collaboration is always necessary for a design or product team to create a stunning website. That’s why a good design collaboration tool is imperative. iDoc, an all-in-one online design collaboration & handoff tool, can handoff designs with accurate specs, assets, code snippets and interactive prototypes automatically. 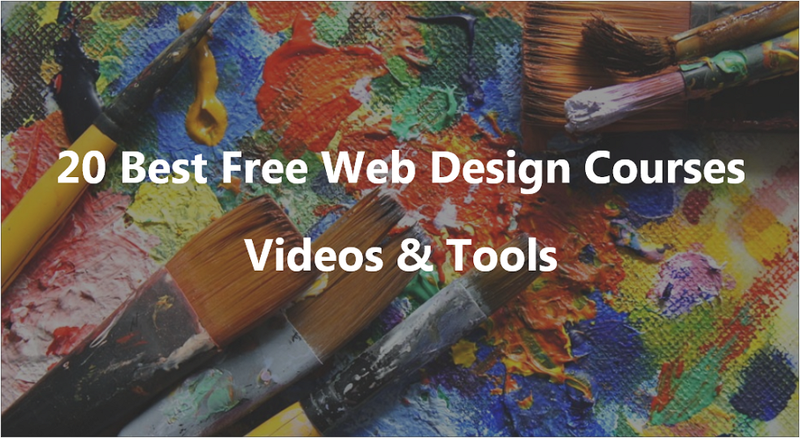 This is the tool for you if you want to collaborate, test and handoff web designs online effortlessly. iDoc also offers plugins for users to directly import designs from Adobe XD/Photoshop/Sketch to improve work efficiency. Dreamweaver is a leading web design tool that enables users to design, code and publish their website with ease. Overall, learning to use industry standard web design tools are also essential for beginners to practice and improve their website design skills. 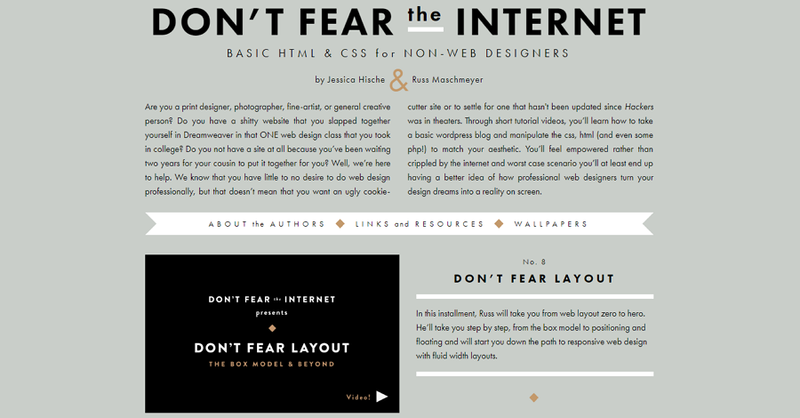 Learning web design on your own can be simple or complex. The key point is whether you can get professional and systematic guidance at the very early stage. Fortunately, in this technological world, you can easily get such guidance through online website design courses & video tutorials. So, keep learning and do not give up!